Bikers and Bike enthusiasts are encouraged to bring their motorbikes whether Super Bikes, Road Bikes, Tourers or Vintage in fact anything on 2 wheels to our inaugural Bike Night ! Bike parking will be in the Village Hall and Fleur De Lys Car Park, Car parking will be in the field adjacent to Manor Farm Lane. This is a free event with a voluntary collection on the night the proceeds of which will go towards running costs and local charities. There will be Music, Food, BBQ and Outside Bar. A helmet and leathers storage will be available at the Village Hall for a small charitable donation. Please share this event with friends and fellow enthusiasts, we hope this will be the first of many ! For more info go to "What's On"
Dean first came to notice with the top 20 chart single “Ariel”. Quirky and uncategorizable the song tells the story of a free spirited, pot smoking, vegetarian Jewish girl in a peasant blouse who lived as the lyric goes".......way on the other side of the Hudson." Deans consummate song writing and performances have earned him a very loyal international following. The Wurzels are the original Scrumpy and Western band, best known for their classic chart toppers "The Combine Harvester" and "I Am A Cider Drinker"
The Bar-Steward Sons of Val Doonican who wowed fans at Cropredy in the summer of 2018 are an English folk and parody band from Barnsley, South Yorkshire. 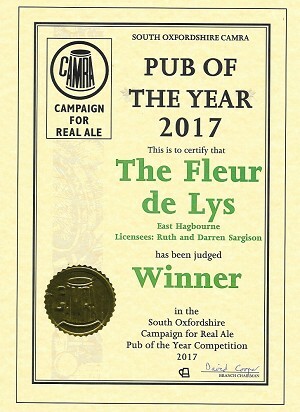 The Fleur De Lys (Flower of the Lilly) originates from the 17th Century and is the only remaining pub in the picturesque Oxfordshire village of East Hagbourne. A short walk from Didcot the surrounding countryside is the perfect place for walking and dogs are very welcome in the Bar area. Originally owned by the Lockinge Estate it is reputed to have been owned by the Napper family for 142 years before being sold in the 1950s to the Abingdon Brewer Morlands, founded in 1711 in West Ilsley by farmer John Morland. The pub still displays an original Morland Ceramic Painter Plaque, known as "The Artist Fayre" produced by Poole Pottery or associated Carter Tile Works designed by Reginald Bell. There is a comfortable bar area with open fire providing fine beers, wines and spirits. 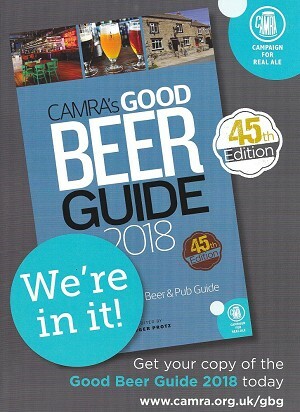 Our guest ales are carefully selected and change regularly. The Restaurant offers an extensive home cooked menu, featuring traditional pub food lunchtimes and evenings. Where possible our produce is sourced locally and Chef's specials change regularly. The dining room can accommodate up to 50 guests making it the ideal venue for business functions, smaller intimate Wedding Receptions, Christmas Parties, Family Celebrations and Funeral Wakes etc. We also have a large outside decking area ideal for alfresco eating or simply enjoying a few drinks with friends and family. At the Fleur we are passionate about music and regularly host Music Evenings, details of which can be found on our events page. Every first Wednesday of the month we have an informal acoustic/electric guitar evening covering popular songs from the 60s onwards. On the second Monday of every month we hold a very popular Quiz Night. We are very proud to support local artist and illustrator Linda Benton and several of her unique paintings, montages of village life are displayed throughout the pub and are available to purchase.